Imogen's Typewriter. 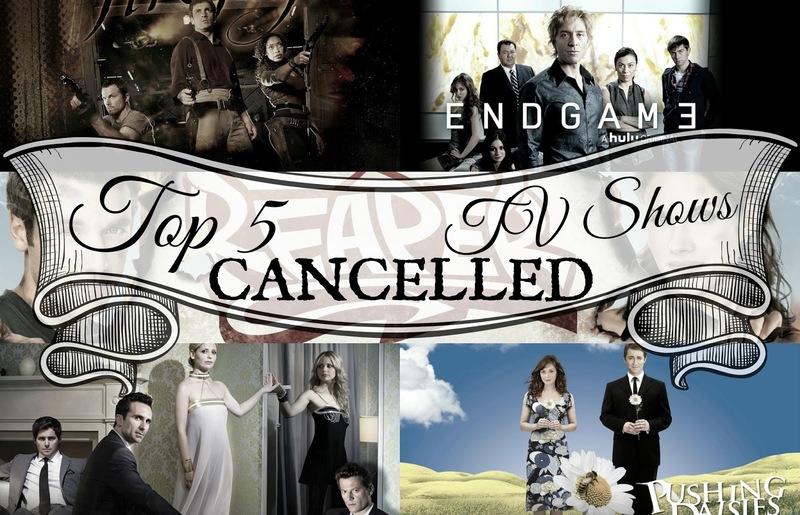 : Fiction Friday: My Favourite Cancelled TV Shows! TV cancellation season has been and gone like a hurricane. With the news that Community will not be reaching #sixseasonsandamovie and Revolution being cut short at two seasons, I am not pleased. Cancelled TV shows are often some of the best in my opinion, mainly because they don't run long enough to be ruined *cough*How I Met Your Mother*cough*. A one-season wonder. This show is a crime solving kind of show, the only problem being that the main character, a Russian chess player can't leave the hotel he stays at. Like most of the shows on this list- it was different, it was great, it stepped away from procedural cop shows and would be the one show I'd bring back if I won the lottery because it would be so cheap (in terms of TV show production) and yet so fulfilling. Showcase cancelled it, Hulu picked it up then decided not to continue, why do they do this? Why? This is technically only streaming on Hulu but you can find it floating about the internet. 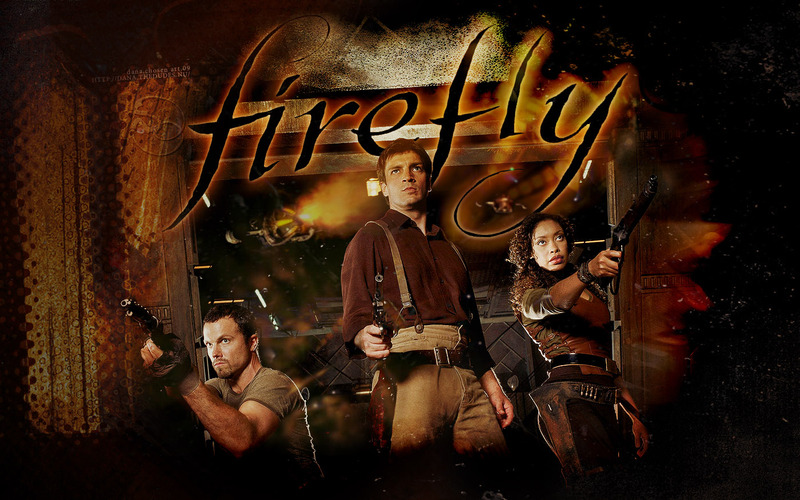 You didn't think a list like this wasn't going to mention Firefly, did you? Fox killed this show, airing 11 of the 14 episodes out of order. They wanted it dead and it did end up cancelled. But not before people got so hooked it ended up getting a movie, Serenity, to tie up some of the loose ends and a comic book. I think that's the sign of a good show, that 11 out of order episodes can get a bigger following then hundreds of in order ones. Browncoats forever! The jokes. The macabre. The colours. The clothes. The narration. Everything about this show is so beautifully original. We only got two seasons but they're my go-to show when I need a pick me up. This was an ABC cancellation and despite rumours of a comic book, a kickstarter and a broadway show- nothing has come out of it. The creator Bryan Fuller is now doing Hannibal, and certain Pushing Daisies actors do pop up from time to time but nothing could fill the daisy shaped hole in my heart. Buffy's back! For one season anyway. When unlucky circumstances make her the sole witness to a murder, newly sober Bridget adopts the identity of her estranged twin sister, Siobhan ... who turns out to have serious problems of her own. This got 22 episodes before being unceremoniously axed. Why CW, why? After it's cancellation it was petitioned, was nominated for several awards, and was one of CW's most watched shows. I'm still hoping for a comeback. Imagine Supernatural, with comedy and less obtuse actors. Bam! Reaper! This was even put out by the same network and has a main character called Sam. He wakes up on his 21st birthday and finds that his parents sold his soul to the devil and now he has to reap escaped souls from hell or the devil (the amazing Ray Wise with one heck of a spray tan) is going to- well it won't be fun. Plus he has a crush on a girl he works with and two adorable best friends trying to 'help' him. Unfortunately, despite some seriously cool plans for Season 3, CW cancelled this one too but not before two really fun seasons. If you're looking for shows to watch that are short and sweet to get through but you can watch over and over and over and over again without getting bored- these are for you! Have any of your shows been cancelled? What is your favourite cancelled TV show?